We’re now once again entering my favorite part of the year – the rainy season (if I lived somewhere besides California my favorite part would be the snowy season). What I love about weather like this is the contrast it provides between outside and inside. The warm, glowing windows of the buildings become just that much more inviting when set against the dampness and the biting chill of the outside. So in celebration of my old friend the rain, here’s a photo I snapped one (or was it two?) rainy seasons ago. 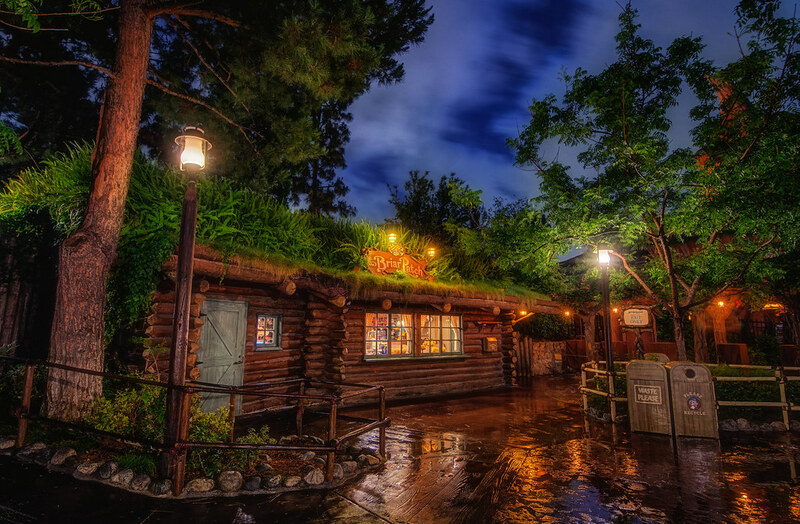 This entry was posted in Critter Country and tagged Br'er Rabbit, gift shop, glow, HDR, lights, rain, splash mountain, wet. Bookmark the permalink.